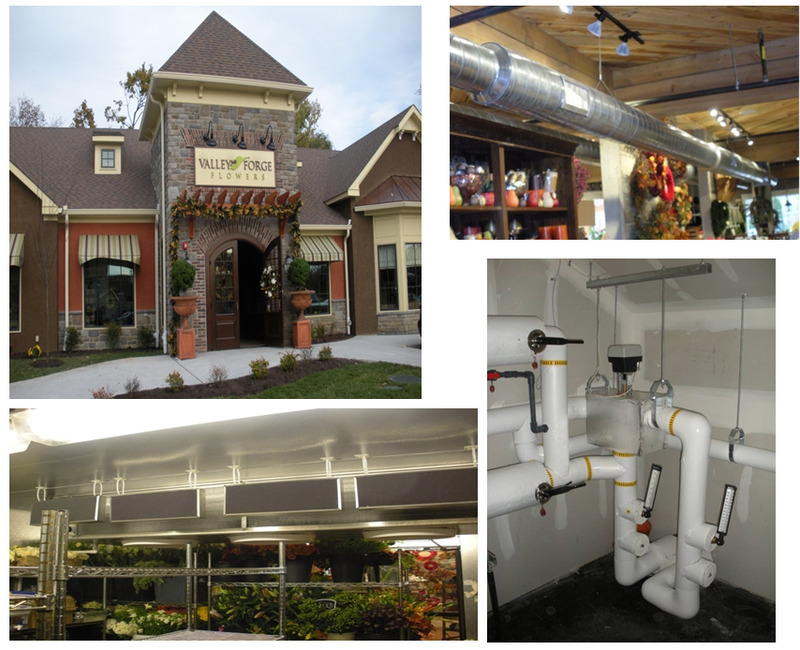 Installation of geothermal heat pump HVAC and refrigeration system consisting of (10) 550 foot deep wells, (7) geothermal heat pumps for the retail, office and flower preparation area, (1) geothermal refrigeration system for walk-in flower box. Stand alone controls for the heat pumps and Honeywell control panel for well piping loop. Ethylene control filters installed in flower box to help extend life of the product.